Jordan Elizabeth's books are compelling and creative. I'm excited to share her thoughts! Kirsti Call: I've read many of your YA books. Your characters are authentic and engaging. Cogling is one of my favorites. What was your inspiration? 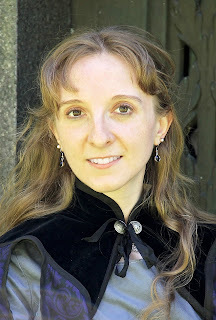 Jordan Elizabeth: At the time, I belonged to the Utica Writers Club, a local group. I was a member, vice president, and then president. Another member, Aaron Siddall, is a professional illustrator. We met up at a local cafe and brainstormed a steampunk project where I wrote and he illustrated. Unfortunately, his illustrations weren't included. However, we have another steampunk collaboration coming out sometime this year from Oloris. The tentative title is FANYA IN THE UNDERWORLD. KC: I can't wait to read that one! You infuse a lot of humor in your books as you tackle difficult subjects. As you write the story, how do you gauge when to be serious, and when to infuse humor? JE: Honestly, I just write. I don't even realize something is funny until I'm rereading and chuckle. I get an idea and just start writing. I go for walks a lot, and that's how I flesh out my plots. JE: Each book means a lot to me, but in a different way. There is a book I've written that I love, but it hasn't found a publishing home yet. 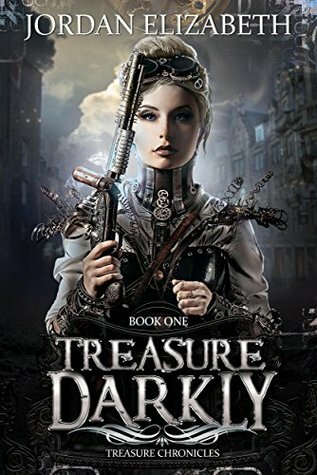 Other than that book, it would have to be TREASURE DARKLY. I laughed so hard while rereading the parts about Amethyst. JE: I'm working on a kid's story for my baby about a boy growing up in the 1960s. So far I'm only on chapter 3. I have to keep rereading to make sure it is appropriate for beginning readers. JE: Keep going. I queried so many agents and publishers. It can be daunting. So many people told me to just give up. Eventually you become numb to the rejections and it just makes an acceptance letter that much sweeter. KC: Thank you Jordan! I'll be looking for your young reader story for my children! Jordan Elizabeth, formally Jordan Elizabeth Mierek, writes down her nightmares in order to live her dreams. When she’s not creating art or searching for lost history in the woods, she’s updating her blog. Jordan roams Central New York, but she loves to travel. 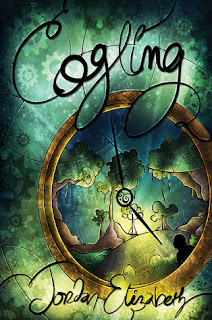 Jordan is a young adult fantasy author represented by the Belcastro Agency.